Understanding the processes governing death is helping experts try to halt and reverse it. It’s also challenging our ideas about the nature of death itself. Zach Conrad died on a lovely Sunday afternoon in Philadelphia. It was 3 June 2012, and the 36-year-old financial analyst had decided to take a solo bike ride, as he often did on weekends. As the ride progressed, however, Conrad sensed that something was wrong. He pulled over to the side of the road, took off his helmet and slumped to the ground. His heart stopped beating and he stopped breathing. He was having a sudden cardiac arrest. The odds weren’t on Conrad’s side that day. 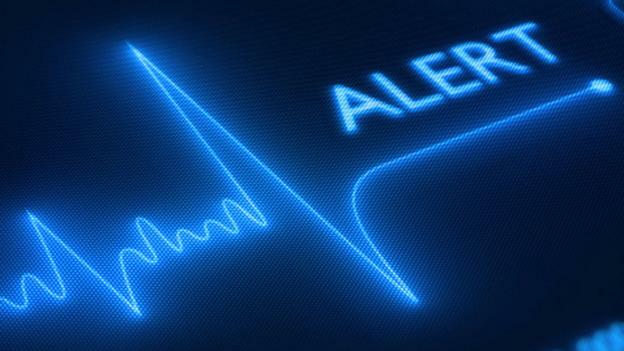 Each year, around 300,000 people in the US suffer a cardiac arrest. Most victims die: of those who make it to the hospital, 85-90% leave in a box or a bag. But instead of adding to that sorry figure, Conrad was about to join a group of people who are challenging our notions of mortality. In some communities, up to 30-40% of arrest victims leave the hospital alive. One likely difference is that these lucky few wound up at a hospital that implements the latest practices in resuscitation science. Conrad made it to one such resuscitation facility, at the University of Pennsylvania, but his route to get there was circuitous. The emergency crew first rushed him to a local hospital, but staff there were unsure of what was wrong with Conrad – he was hardly the typical heart attack victim – and did not know what course of action would best aid his survival and recovery. Conrad’s wife, a doctor, had by then arrived. She recalled hearing about resuscitation research taking place at the nearby university, and insisted Conrad be transferred. By that evening, he was admitted to the University of Pennsylvania’s hospital, where Benjamin Abella, a physician and the clinical research director at the Center for Resuscitation Science, ordered that Conrad should undergo a 24-hour cooling treatment to reduce inflammation and slow metabolism – two components that seem to be key for helping the body recover from resuscitation injury. Following that treatment, Conrad lay in a medically induced coma for several days, during which time he received post-arrest care, including blood pressure support, cardiac catheterisation and mechanical ventilation. On Friday, he regained consciousness. Death is a necessary caveat for every living thing and – as the sole species (we think) capable of conceiving of its own demise – it’s constantly on our minds. Yet the more we learn, the more we realise how crude our understanding of death actually is. Most people consider death as a single moment – a person is present, and then he or she is not. It is the turning off of life’s switch, typically registered as the moment that person’s heart stops beating. Today, around 95% of death certificates use this event to note the time of passing, and for the vast majority of human history, this thinking reflected reality. If a person’s heart stopped beating, he or she had been issued a death sentence. There was no bringing them back. In the early 1960s, however, researchers began to challenge that assumption. Closed chest compressions combined with mouth-to-mouth breathing could alter a person’s fate by restarting their heart. Even then, doctors presumed that within moments after blood ceases to flow the victim’s brain begins to break down, soon rendering them into a vegetative state – even if their heart was restarted. Researchers now understand that cells and organs undergo their own deaths, a process that can take hours or even days depending upon circumstances. In an extreme example, muscle stem cells can remain viable in human cadavers for up to 17 days, a 2012 study found, so long as they are not contaminated by oxygen. A person who does not respond after 20 to 30 minutes of resuscitation efforts will probably not make a meaningful recovery, but that time limit is not set. Science is far from establishing when a body’s capacity for consciousness actually leaves it. “We don’t know how long it takes after death for the cells to decay to such a point that no matter what you do, you can never get them back again,” Parnia says. Which means that humans may take hours to fully die. In a remarkable 2011 case, a woman in Japan, intent on committing suicide, wandered into a forest and overdosed on pills. The next morning, a passerby found her. When emergency personnel arrived, her body temperature was 20C. She had no pulse and was not breathing. Efforts to shock her heart into action failed, but rather than send her to the morgue, doctors connected her to an extra-corporeal membrane oxygenation (ECMO) machine – a device that acts as an artificial lung and heart, and is a standard of care in Japan – and left her to circulate. Several hours into the procedure, her heart fluttered back to life. The woods’ cool temperature, it turned out, had prevented the woman’s cells from breaking down as quickly as they would have in a warmer environment, allowing her to lay dead in the forest for around four hours, plus survive an additional six hours between the time the passerby called the ambulance and the time her heart began beating again. Three weeks later, she left the hospital, and today she is happily married and recently delivered a baby. “If one of our [emergency medical service] crews found that young girl, she would have just been declared dead,” Parnia says. Conquering death, like any disease, requires knowing the enemy and devising ways to combat it, Parnia explains in his book, Erasing Death. The first step is simply getting the patient’s heart to restart. Special defibrillators can boost the odds of success by monitoring CPR on the spot. They provide audio and visual coaching to optimise a doctor’s performance, such as instructing him to push harder or to allow more time between compressions. The devices also store data for later review. Most doctors, however, do not bother with these machines, though data indicate that they should. In one study, initial CPR success rates averaged at 45%, but making doctors use the feedback-providing defibrillator pushed up success rates to 60%. To buy time, ECMO devices like the one used in the Japanese woman’s case can keep the body functioning until doctors can get the heart restarted. These machines remove the patient’s blood and then circulate it back into the body full of oxygen. In South Korea and Japan, doctors have reported up to 90% success rates in restarting the heart using ECMO devices. In the US and Europe (where doctors typically report a 50% success rate in restarting the heart), however, no standardised procedures exist for implementing ECMO machines. Even if a doctor successfully restarts a patient’s heart, it is often a short-lived victory. As scientists tease out the mechanisms of death at the biological level, they are beginning to learn that some standard critical-care practices – flooding a cardiac arrest victim’s system with oxygen and increasing their blood pressure immediately following the heart attack – are not the best way to ward off an ensuing cascade of cellular suicide. Cooling down the body is probably the most important breakthrough in increasing the chances that those cells stop their death rampage. Since 2003, some hospitals have been championing this mild form of hypothermia – the same procedure that Conrad underwent after his heart attack. Doctors lower the patient’s temperature by around four degrees, to 33C, using either liquid-filled pads or catheters that cool him or her from the inside. This sends the body into a hibernation-like state, allowing it time to recover from the injury and trauma of cardiac arrest. It lessens swelling and pressure on the brain and reduces cellular activity, including cells’ instructions to commit suicide. One study found that for every six patients who undergo this treatment, one benefited. Combining all of these methods – from the time a person first suffers a heart attack to the critical period after – increased patient survival from 26 to 56%, according to a 2007 study in conducted Norway. Of those survivors, 90% did not suffer any long-term neurological or physical repercussions. Resuscitation is still a very young field, however, and experts say there are several major areas to tackle. For instance, there are no scientifically validated guidelines about when to stop a resuscitation effort for a particular patient. Current efforts are “frighteningly variable”, Becker said in a recent panel discussion at the New York Academy of Sciences. A 2012 study examining current practices across 435 US hospitals demonstrated this. In analysis of more than 64,000 events, the authors found that the majority of doctors stop their efforts at 20 minutes if the patient did not respond. However, hospitals with the shortest resuscitation attempts for non-survivors – 16 minutes – saved significantly fewer cardiac arrest patients than those that put in 25 minutes – just 10 extra minutes of effort. “If a doctor just stops in an arbitrary fashion, for the patient that’s a permanent death sentence,” Parnia says. Research is underway on the technology and methods that will shape new guidelines. Abella suspects that traditional CPR, for example, might need a makeover. CPR currently helps millions of people, but it uses a uniform approach of about 100 compressions per minute regardless of the patient. Abella and his colleagues’ research suggest that this life-saving practice may be more effective if it is dosed differently depending on the patient, much like medication. Parnia’s group and others are developing what he calls a “GPS system that navigates the quality of care that patients are receiving.” The method, formally referred to as cerebral oximetry, uses near infrared spectroscopy that penetrates the skull and monitors how much oxygen reaches the brain during each beat of the heart or CPR chest compression. By knowing exactly how much oxygen is reaching the brain, doctors can adjust their CPR regime accordingly to minimise brain damage. “I see this becoming the standard of care, as opposed to doing CPR blindly as we have for decades,” Parnia says. He and his colleagues are already using cerebral oximetry in patients, and they will present some of their results at an upcoming American Heart Association meeting next month. Smoothing out the recovery process is another priority. Currently, doctors induce mild hypothermia, as with Conrad’s case, for 24 hours. Whether that is the optimal time, however, is an open question. In addition to using hypothermia, researchers are also figuring out ways to directly prevent cell death at the biological level. “There’s going to be all sorts of important discoveries in the coming years about tissue interaction and communication at the border of life and death,” Abella predicts. One way to manipulate that process is to inject drugs that inhibit apoptosis, or programmed cell death. Some researchers are working on preventing damage by designing drugs that target the cells’ energy source, the mitochondria. Other groups are developing ways to block enzymes called calpains that induce cell death by acting like scissors and shredding proteins. In one laboratory experiment, rats that were asphyxiated for 10 minutes and given a calpain blocker had significantly less brain damage than those that received a placebo. For patients that do survive, like Conrad, physical and neurological rehabilitation – methods that are still being worked out – may be necessary. Memory loss plagues some survivors, including Conrad. When he came back to life, he thought it was the year 2010. He got married two months before his accident, and although he remembered who his wife was, he had no recollection of their marriage. As days passed, however, his memory slowly returned. Now, he has a two-week memory blank starting at about noon on the day of the accident, but he’s grateful to have reclaimed full access to memories from before and after that event. Abella notes that these new rehabilitation problems are ones he’s happy to take on, however. People who today struggle with post-resuscitation issues would have just died ten years ago. It’s difficult, if not impossible, to predict how significantly survival could be boosted if promising technologies come to pass and hospitals implement them on a standardised, best-practice basis. Parnia ventures, however, that the survival figure could reach up to 50% in the next ten years. Likewise, after remaining dead for long enough, the basic structures that permit consciousness probably decay far beyond repair, Abella explains. Immortality is not an option, either, at least not in the near term. Cardiac arrest is usually triggered by some underlying condition, such as coronary heart disease or diabetes; there is little meaning in bringing a terminal cancer patient back from the dead, only to make them suffer another agonising death hours or days later. Without finding a permanent fix for every disease, injury and condition that cause death, resuscitation only postpones the inevitable. Even if a healthy person, like Conrad, is brought back from the brink of death, eventually mortality will catch up. “Clearly there is a point at which it will be futile,” Parnia says.